The startup has created a B2B platform which serves as a seconds selling market that connects farmers and various kinds of food and beverage businesses that accept otherwise unutilzed produce. Apparently, it isn’t just humans who feel the unrelenting pressure to look pretty. The food you consume, well before it reaches your plate, undergoes a culling process based on how it looks. Full Harvest is a startup looking to tackle the food wastage problem by embracing the average-looking rejects and misfits, instead of letting them reach a dumpster prematurely. The venture now has $2 million in seed funding to realize its noble goal of finding ways to use otherwise unutilized produce. 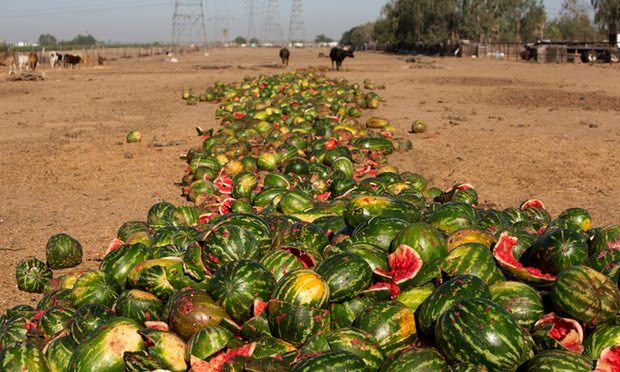 In a world where whole countries currently face food shortages and its consequent effects, the practice disposing of produce that doesn’t meet our aesthetic standards is cruel. Full Harvest addresses that problem right at the source: farms. Instead of tossing unattractive produce, they channel it into a B2B selling market which connects farmers and various kinds of food and beverage businesses. The startup starts by partnering with farms to implement innovative harvesting techniques to optimize edible produce volume. Before the service came around, farms were forced to set up a composting system or pays for other ways to dispose of disqualified produce. Now, they can get on Full Harvest’s software platform and find buyers for it. Buyers include businesses such as processed food makers, which don’t require fruits and vegetables to look right to use them. Full Harvest was founded by Christine Moseley, who previously worked at Organic Avenue, one of the first cold-pressed juice services to pop up. She resolved to set up what eventually became the startup on learning that around 20 billion pounds of yield go to waste annually as a result of lacking the cosmetic perfection demanded by grocery stores. Food Harvest is fulfilling an important service at a time when we’re realizing that food production needs to rise significantly in order to keep up with increasing demands. It’s a big problem, but the startup seems to have the ambition to match. “Our goal is to be the Alibaba of produce – a universal, easy-to-use platform that allows growers, food and beverage companies, and retailers to all benefit from excess farm produce,” founder Christine Moseley said in a press release. For the sake of the planet, let’s hope they do.